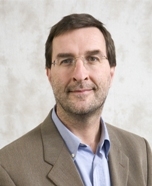 Davide Nicolini is Professor of Organization Studies at Warwick Business School where he co-directs the IKON Research Centre and co-ordinates the Practice, Process and Institution Research Programme. In the past he has held positions and visiting appointments at the University of Oslo, The Tavistock Institute in London, ESADE in Barcelona, the Universities of Trento and Bergamo in Italy. His current research focuses on the development of the practice-based approach and its application to phenomena such as expertise, managerial knowing and attention, collaboration, safety and technological innovation in organizations. He is also interested in the refinement and promotion of processual, relational and materialist research methods. He has used these approaches to study healthcare organizations, managerial work, construction sites, factories, public organizations, cybersecurity, pharmacies & scientific labs. A "My Warwick Life" article by Professor Davide Nicolini is available here.